Elkmont High School faculty and staff will continue their journey into the world of LCS GAFE (Limestone County School's Google Apps For Education) on Tuesday, January 27, 2015. With the rollout of Limestone's Digital Passport Initiative teachers in grades 3-12 will all have 1:1 MacBook Air laptops in their classrooms within the next four years. With this in mind, PD sessions are offered each Tuesday to keep teachers "ahead of the curve" and ready for when devices come to their classrooms. 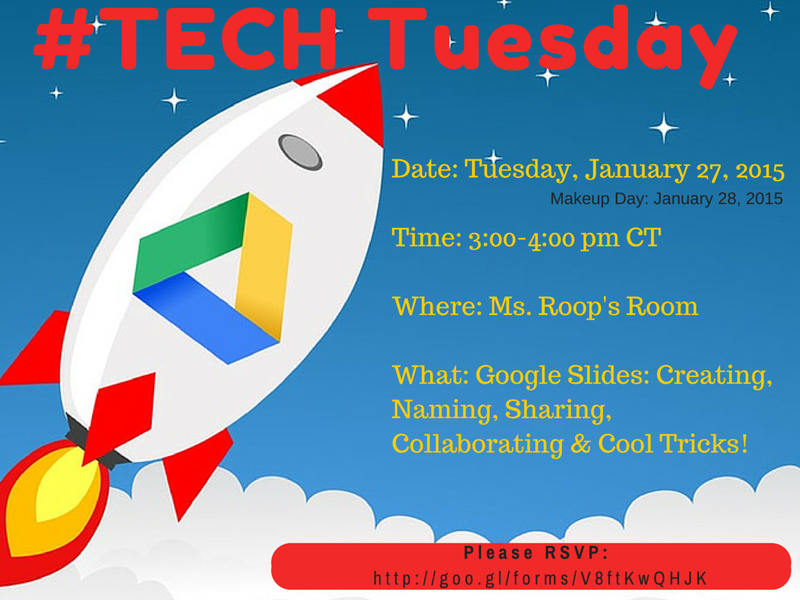 You are welcome to tune into our live TECH Tuesday session on January 27th around 3:15 pm CT.